Pepsi Cola has finally bowed down to consumer pressure and is removing Aspartame from its ingredients. A small victory for common sense, a victory for people’s health. However, this is a rare consumer victory in the US. People just accept whats delivered and never question the ingredients or the rhetoric – a sad symptom of US society and its poor health. Both corporations and politicians rely upon apathy. Substitute real sugar substance with a cheap, but lousy alternative and let the corporations benefit from extra profits. This policy has now become a US-led energy strategy with fracking too! The same is true with ‘Genetically Modified Crops’ and many other ‘questionable’ food groups, that push upon us in a post-Brexit world. Our politicians will be desperate enough to ‘sign-up’ on the US pushed TTIP deal to counter the financial recession that is predicted post-Brexit. There are food additives in US food that are just not allowed in Europe. The TTIP deal will allow those ‘cheap and profitable’ ingredients within our food system and enable US corporations to sue governments if they try and prevent this – welcome to this nightmare post-Brexit world. When I read a label, and it says “Made in the USA” I become suspicious! With EU regulations wiped away, British people will be subject to a world that will be 100% controlled by US corporations. How is that democratic?. Apocalypse means ‘an unfolding’, and just here within a few paragraphs of writing I have unveiled multiple actions that will fundamentally change ‘Life on Earth’, not just the children you attempt to protect in your 4×4 military grade vehicles, but the whole chemical composite of the entire planet. Even Russia’s President Putin has banned aggressive US GMO companies from operating in this country. The British government will use such an action in a post-Brexit world. Once the effects of unregulated capitalism begin to materialise, then it will be too late. For example, the catastrophe that will unfold from the effects of ‘a fracking revolution’ will only rear its ugly head after ‘billions of gallons’ of toxic water is out in the environment. This will make the nuclear waste problem look like the background scene from an Enid Blyton book. Rupert Murdoch’s media empire has a massive ‘conflict of interest’ because his fracking company Genie Energy needs to be called out for its interests in removing EU environmental protections. Brexit will be a Britain unprotected from the world most significant business predictors. 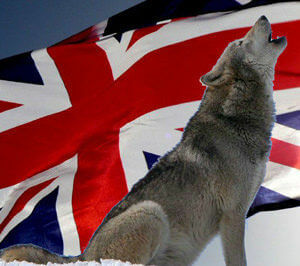 A vote to ‘remain’ is a choke chain and muzzle on the wolves that only see the British people as sheep. Tyrants today dress in sharp suits and slay the innocents with their pharmaceutical, health care, energy and food industries. An unreported corporate war has come about because they feel they are now above individual governments, and above the old tradition of democracy. Europe today is under siege from Wolves from the West and the East. One threat coming from the sword and the other in the form of the pen. Control the food, and you control the people, control the energy markets, and you control the politicians. Control the media, and you control both. Dependence on food and energy imports in a world that is suffering a drought and climatic changes of biblical proportions is real stupidity. Allowing corporations to dictate ‘protective’ regulations for people and the environment will be truly apocalyptic. Dependence on your health care from the US TTIP deal that prescribes Amphetamines to students as a ‘learning aid’ in the US today is simply craziness. The NHS will become a footnote in history, and your TV will become relentless drug adverts with their foot-long disclaimers of death, depression and ill-health as it is today in the US. The Murdoch media machine and others are pressing for Brexit because their financial interests are in removing regulations that protect us and the planet from untethered capitalism. Safety comes from staying together. Wolves pick-off the weakest from the edges of the herd. The US corporate wolves are circling and will be fist-bumping each other if we detach ourselves from the safety of the EU Union. There are only fish alive in our rivers today because of the EU.